The distinctiveness of this project was a creative response to budgetary constraints. 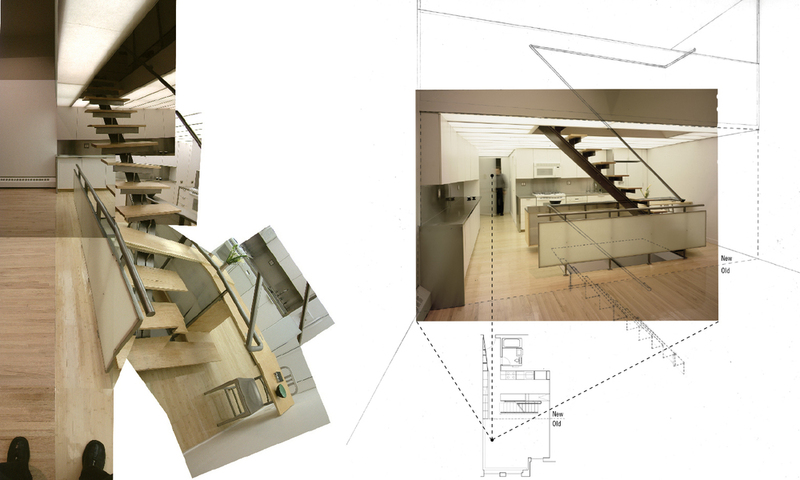 LTL, working with the client, decided that only half of the loft should be renovated. Rather than attempting to seamlessly fuse new and old, this division—aligning with the overhang of the second-floor loft—established the territory of the renovation and produced a proscenium-like condition between the two sides of the apartment. This theatrical effect is intensified by the transformation of the existing ceiling of exposed joists into a luminous plane of translucent material backed by dimmable fluorescent lights that can be manipulated to selectively illuminate different areas of activity. 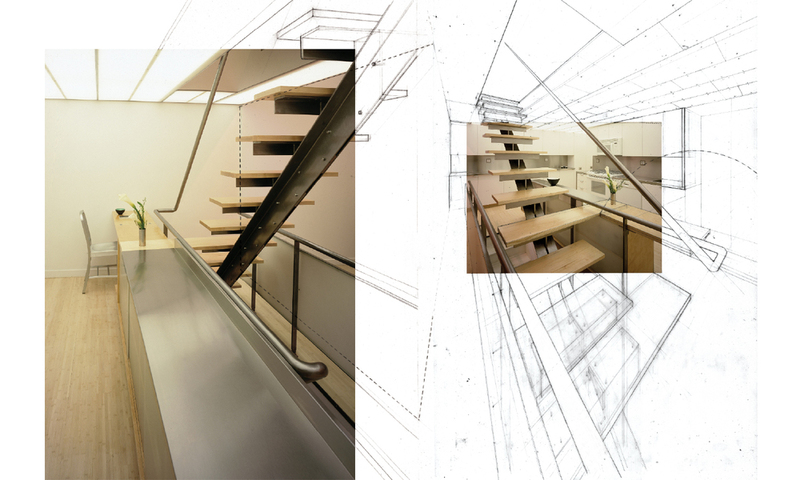 Within this newly defined domestic stage, a series of linked elements are inserted: a steel-and-maple stair, a kitchen, and a wall of cabinetry for storage.